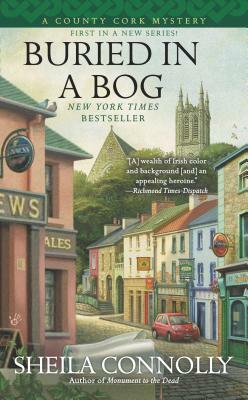 Honoring the wish of her late grandmother, Maura Donovan visits the small Irish village where her Gran was born—though she never expected to get bogged down in a murder mystery. Nor had she planned to take a job in one of the local pubs, but she finds herself excited to get to know the people who knew her Gran. Sheila Connolly is an Agatha Award–nominated author, and has taught art history, structured and marketed municipal bonds for major cities, worked as a staff member on two statewide political campaigns, and served as a fundraiser for several nonprofit organizations. She also managed her own consulting company, providing genealogical research services. In addition to genealogy, Sheila loves restoring old houses, visiting cemeteries, and traveling. Now a full-time writer, she thinks writing mysteries is a lot more fun than any of her previous occupations. She is married and has one daughter and three cats.